As a British Pastor I love coming to America. I love the pioneering ‘can do’ attitude of the American people. I love how so many of the churches are full and the way that faith is often spoken about as part of daily life. In England things are quite different. Churches are often half empty and the attitude of many of the British people towards evangelical Christianity is pretty negative (to say the least!). A large church in England might have 300 people. Obviously, this is a really foreign reality for people who have grown up in a culturally Christian United States. However, there are some things that we as British Christians are learning that may be useful on both sides of the Atlantic. Britain has become a mission field again in the true sense of the word and the remnant believers have had to change and adapt in order to remain effective as God’s people. Incarnation is better than intervention. Intervention says “I really want God to touch my life and make it better. But God is a little scary; I think I need a Pastor to stand between him and me.” Of course we never actually come out and say this; we just act as if it is true. Instead of going to Jesus directly we expect our Pastor to go to Him, praying, fasting and reading the Bible and then to instruct us in what he has learned at the worship service. In return, we pay out tithes and turn up on a Sunday morning before going back to our lives, and to be honest, not changing too terribly much. Intervention also operates the same way with other people. We want to help others who are poor or struggling or who do not know Jesus, but we want to do it from a distance. So we give money to overseas missionaries (not a bad thing in itself!) and maybe occasionally even take blankets or soup to folks living on the streets before going back to our nice warm comfortable homes. God wants us to access His presence and His Word for ourselves. He wants to deal with us directly, and He wants us to do the same with the Last, the Least and the Lost. In recent years in our church we have seen an incredible thing – every day members of the church who consider themselves to be missionaries even while they still live in their home city, and who actually live that way. They believe that if you’re a Christian, it means you’re a missionary. There isn’t really a choice in the matter. They have found that life-on-life engagement with others allows our contagious faith to spread. They share their time, energy and resources with each other and move into the lives of those they are trying to reach. In a city where no-one goes to church, we have begun to see people come to the Lord in the hundreds, most without ever darkening the door of the church. For those of us with an interventional approach to faith, I believe Jesus brings the challenge of incarnation. Are you living your Christian life from a distance, or up close and personal? If you’re a Pastor, are you fully engaged with the mission of God in an up close and personal way, or do you simply hope by running the machine of the church, others will do it and you’ve fulfilled your part in it? Wow. I don’t even know what to say and I’m always runnin my mouth. I have to read this a few more times; dense, wise, factual, encouraging. Thanks. Thank you so much for bringing the reality of what it means to follow the Lord Jesus. This is not just a reminder, but a jolt into our American evangelical churches. As the Lord leads me to people to disciple I have them go to the gospels and just follow Jesus as He goes about “doing good.” I never cease to be amazed at the dear ones He brings into my life. Thanks again for the jolt. Awaiting the remainder of the series. As a fellow Brit who has lived in America for 25 years, identify with and understand too well. I once heard Russian and South American interns to a church in Dallas explain why they were happy to return home as missionaries: life is too easy in America – so for them being a Christian is ‘easier’ where life is harder. That would include being a true follower of Jesus in England today. Lord, may they and we abide in you, do you will bear fruit through us. Incarnation Lord. 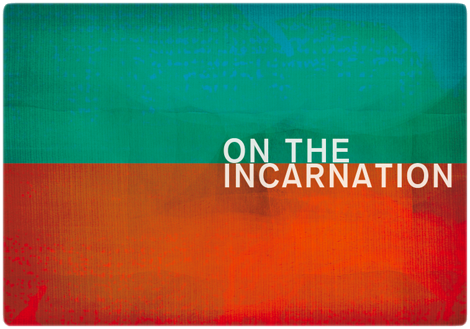 I love the theme of incarnation. For some reason, we love it that Jesus incarnated Himself to us, but we rarely want to incarnate to others. I live in Sheffield too and totally agree with Paul. I work for Church Army who’s ‘strap line’ is to serve the Least the Last and the Lost – seems we’re getting closer all the time! One question you might be able to answer – with all the great work over the last 15-20 years from St Thomas’ and other churches, has the 2.5% gone up a bit yet? Please say yes! So, what is a missionary? I guess for us it means someone who will try to live the life Jesus has called them to, which should include an ‘extended family’ of folks who are living life together – praying togehter, eating together, having fun together, reacing out to others, sharing resources in some way; and then when they find ‘People of peace’ (Luke 10), they seek to live life-on-life with them too. They are trying to be a disciple (learner, student) of Jesus and are looking out for others who want to do the same. In my opinion conversion is important – there is a moment of change in the life of a believer – but the Holy Spirit does that and coercing people is wrong. The first Reformation left the laity/clergy status quo in place in the end, though the Radical Reformers carried it further for a time. Maybe in this Reformation (every 500 years according to Phyllis Tickle) we can rediscover the meaning of Pentecost, or really see Jesus example at the old well in John 4.. Thank you so much, I live in Almere, a growing metropolitan city next to Amsterdam and ony 3-4 % of the population goes to church on a Sunday morning. A lot like cities in Britain. #dminlgp I like the concept that every christian is a missionary and the act of moving in the neighborhood. I think if all christians move in the neighborhood there would be a revival and impact in the community. A brilliant reminder of what Christ desires of all Christians…..life on life mission. Thanks Paul! I have been reading through Paul’s piece and thinking about it. I am an American in northern NJ by the way. I think his explanation of intervention as the sort of standard of how many Christians or cultural Christian Americans view interaction with God is correct. I experience that all the time. That section is very powerful and deserves a wider read after it is fully fleshed out. I hope Paul is doing/has done that. In my opinion, a sort of critical mass of deconstruction has either been reached or is very near to being reached, so I suggest the excellent descriptive style that Paul used here. You probably know this, but in some sections of the US, there is marked decline in church participation too. Many of my pastor friends believe that this is a sign of judgment from God, most of them are Reformed, and the Baptists believe that this is a sign of the end times. Neither of these groups of fine men preach or model a ministry philosophy that emphasizes that we are all missionaries needing to live and minister incarnationally to re-introduce the Church into their community. Frankly, they accept the decline as a part of God’s plan. Men from both points of view will wax eloquent from scripture explaining their view. IF someone responds to the church decline in a way that resembles what you have written here, they turn down the volume. Looking forward to the other pieces. What do you make of this — in light of the intervention perspective? At first, I liked this quote, and thought it was a good description of the task of preaching. But I changed my mind — I think it mainly spoke to my own vanity. It makes the preacher feel needed, but does a Christian community really want someone to study the scripture on their behalf? Stories (especially true stories like this one) pack a punch that is missing from other kinds of writing. I live only a couple of hours drive away from Sheffield and should pay a visit, maybe bringing some friends with me on a sort of fact-finding trip. This is beautiful, thanks for your inspiration and encouragement to go out and be the people God created us to be! Incarnation is better than intervention..